I have a question for my friends and readers who consider the Bible to be the inerrant word of God. Some of my friends are Christians, but they're willing to admit that at least parts of the Bible are not inerrant. You guys are off the hook for today. Those of you who say that the Bible is inerrant should really think about this question and leave a comment (or email me) with your take on the subject. Here's the question. Why does the Bible condone slavery? I have asked this question to a few believers and I have yet to hear a good explanation. Here are a few of the things I have heard. "The slavery mentioned in the Bible is not like the slavery practiced in pre-Civil War United States." The first difference they point out is that Biblical slavery was based on economic class rather than on ethnicity. I'm not sure why it would be preferable to turn a person into property because they are poor rather than because they are a of different race, but more importantly, that's just incorrect. Your male and female slaves are to come from the nations around you; from them you may buy slaves. You may also buy some of the temporary residents living among you and members of their clans born in your country, and they will become your property. You can will them to your children as inherited property and can make them slaves for life, but you must not rule over your fellow Israelites ruthlessly. Sounds to me like some slavery condoned in the Bible was based on ethnicity. There was a version of slavery for Hebrew people that was less harsh. It included freedom after seven years (with some exceptions). But the rules for enslaving foreigners were different. The second part of that explanation is that slavery in Biblical times was less harsh. If a man beats his male or female slave with a club and the slave dies as a result, the owner must be punished. But if the slave recovers within a day or two, then the owner shall not be punished, since the slave is his property. When a man strikes his slave, male or female, with a rod and the slave dies under his hand, he shall be avenged. But if the slave survives a day or two, he is not to be avenged, for the slave is his money. So, when people explain Biblical slavery by saying that it really wasn't all that bad, then they either don't know what the Bible says or they have a strange idea of what "not that bad" means. "The Bible records real history and tells about all sorts of bad things that people did. Just because it mentions that Israelites held slaves doesn't mean that it was condoned." The two passages I quoted above come from laws that were supposedly received directly from God and they certainly condone slavery. If you think that the Bible is telling the truth when it claims that these laws came from God, then this explanation won't get you anywhere. 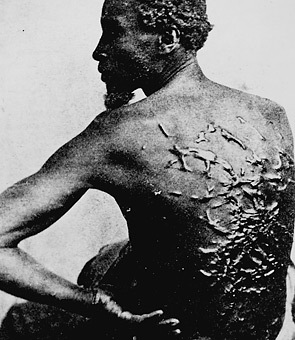 "Slavery was common back then. These laws actually made Israel more civilized than surrounding countries." If the God of the universe, a morally perfect being, was going to give laws to a tribe of people, wouldn't he set his sights a little higher than this? Why not just ban slavery? Besides, this smacks of moral relativism, which goes against the idea of a timeless moral standard from God. Christians can explain away some of the awful things in the Old Testament by pointing out that they were overturned in the New Testament. That's not the case with slavery. [Slavery] was established by decree of Almighty God...it is sanctioned in the Bible, in both Testaments, from Genesis to Revelation...it has existed in all ages, has been found among the people of the highest civilization, and in nations of the highest proficiency in the arts. 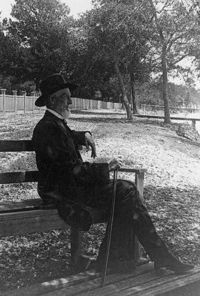 Jefferson Davis, President of the Confederate States of America. The Southern Baptist Convention is one of the largest denominations in the country. It was formed because in 1845 a group of southern churches broke off from the Baptist church when it made a rule requiring missionaries to not own slaves. The SBC didn't officially reverse its position on slavery until 1995. Christians should be proud of the fact that some of their number fought against slavery. They should keep in mind that plenty of the Christians at the time thought that the Bible condoned slavery. "We don't understand God's ways, but we need to trust him." People generally only resort to this explanation after trying some of the others and failing. These Christians want to believe that the Bible is inerrant and God is loving and just. When they come face to face with a passage that makes it impossible to hold both of those beliefs simultaneously, they either change their thinking or they punt. Once I hear this answer I know to move on. The discussion is over. This idea could be used to justify any belief. It's dangerous. I know of only one explanation that makes sense. "The Bible condones slavery because it is set a human documents created by a primitive culture. The laws quoted above were not received from God." If someone knows of a better explanation, I'd like to hear it. PS. If you'd like to learn some trivia about slavery in the Bible (and you like sarcasm), then try taking this quiz. Here's a thought experiment. What would happen if some authoritative Christian body, such as the Episcopal Church, came out with a new version of the Bible with the worst of the bad stuff removed? There would be some backlash, of course. But what if the redactions were limited to a short list of indefensible verses? Let's say the new version left out Leviticus 25:44-46. Would Christians protest this new version? Would they fight to have the slavery-condoning verses included? If you are a Christian, would you refuse to use a Bible that excluded those verses? I have follow-up questions, but I would like to see what people think about the initial question before I bring them out. 1. Who is your first choice of McCain, Clinton and Obama? 2. If it's Obama vs McCain, who will you vote for? 3. If it's Clinton vs McCain, who will you vote for? Feel free to elaborate, but try to also give a simple answer to those three questions. If your answer is "I won't bother to vote," then say so. Boston Dynamics, a small DARPA-funded robotics company is designing the robot in the video for the US military. The video shows the bot, called BigDog, maintaining balance while being kicked, slipping on ice, climbing over rubble and leaping. It can carry more than 300 pounds. 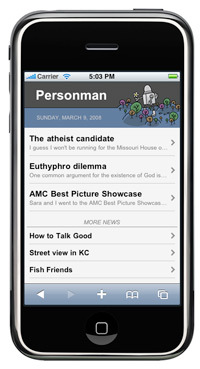 I used the RSS template in Dashcode to make an iPhone version of my website: personman.com/i. It runs off of my normal RSS feed, but it presents the data in an iPhone-friendly way. All I really had to do was plug my feed url in and then I added my header image and changed some fonts. And the SDK comes with an iPhone simulator, which I used for the screenshot. This was a fun experiment and I'll be learning more about it, especially if I finally break down and get an iPhone. Even though there are upsides and downsides to developing for the iPhone, the important fact remains that it has the best mobile browser that I've ever seen. It does a brilliant job of making regular web pages useful on a small screen. I guess I won't be running for the Missouri House of Representatives. At the meeting I met the chairman of the county party and we discussed their website and the possibility of me helping them with it. I came home feeling good about being involved. Today (four days after the caucus) I got a call from the spouse of a party official. She asked me if I would be interested in running for the State House of Representatives. She said that I would be getting calls from some people in the party, including the campaign of Jay Nixon, who is running for governor, and the representative from a neighboring district. 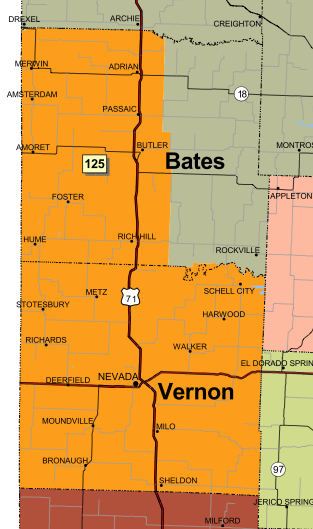 I live in the 125th district and our Rep in Jefferson City is Republican Barney Fisher. He's a former Marine fighter pilot who rose to Lieutenant Colonel before he retired and he's running for his third term in the Missouri House. Fisher won in 2006 by a count of 3,146 to 2,550 (55%-45%) and he'll probably have no problem winning in 2008. The fact that the Democrats don't have a candidate yet is a bad sign. The fact that they tried to draft a 27-year-old computer programmer who had come to only one party meeting may be an even worse sign. That's not to say that I wasn't flattered. I like to think that I'm well-informed and well-liked. I like to think that my occasionally political blog is worth something. But surely someone in the 125th has a better shot at this than me. It was all about to be a moot point, anyway. I said, "Now you should probably know that I'm an atheist." She said, "Oh, is that widely known?" "I'm very open about it." "Why are you an atheist?" "Because I don't believe in god." Then I mentioned the poll that Gallup released last year, which says that 53% of Americans would not vote for an atheist. It was the only item in the poll with higher than 50% negative. Mormons, homosexuals, blacks, women and 72-year-olds all did better. 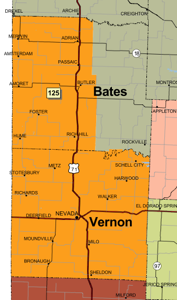 The person on the phone agreed that it would be hard to run against a conservative Christian incumbent in a conservative Christian district when you go around saying that god doesn't exist. She said, "That, as they say, puts a turd in the punch bowl. I'll stop the calls, then." Thus ended my very short political career. That was probably one of the strangest things I've ever experienced. I was, in rapid succession, confused, flattered, disappointed and relieved. I wish my local party was organized better and had already chosen a good candidate. I think it's very nice that they thought of me. I wish that people who didn't believe in invisible beings were not de facto disqualified from public office. Yet I'm relieved that I won't be sinking time and money into a campaign that would very likely fail. And though it would probably be quite an adventure, I wouldn't have been thrilled about having a job that's three hours away from my home. I don't blame the party for not wanting to run me, but I do wish that the people of this district (and the whole country) could understand that non-believers can be morally upstanding, sensible and compassionate public servants. Which translates to "Is the pious loved by the gods because it is pious, or is it pious because it is loved by the gods?" When dealing with Christianity, the dilemma can be phrased like this: "Is what is moral commanded by God because it is moral, or is it moral because it is commanded by God?" If God commands things because they're moral, then that means there is some standard of morality above and outside of God and he's only passing it on to us. If something is moral only because he commands it, then morality is arbitrary. If God wanted to declare that genocide is allowed, then it would no longer be evil. If God is the very definition of good, then saying "God is good" is meaningless. You might as well say that that the book 1984 is Orwellian. The standard Christian response to the dilemma is to say that goodness flows from God and is one with his very nature. I don't think that really avoids the problems of the dilemma, but I'm not bringing this up in order to settle the issue. I only want to point out that there is a dilemma. It doesn't disprove the existence of God, but it does show that the Moral Argument is not without its problems. I think that there are better explanations for our shared morality than god that are simpler, fit better with the facts and raise fewer questions. Note: I encountered the Euthyphro Dilemma while reading a review of Reasonable Faith by William Lane Craig. The review was written by Chris Hallquist and I recommend it. And yes, this is all a thinly veiled excuse to add Greek to a post. HowToTalkGood.com is a site dedicated to exposing and improving business communication. It's produced by my brother, Mike. Mike is a professional writer and he uses knowledge, sarcasm and pitiless scorn to point out the stupid ways that some business people are using the English language.